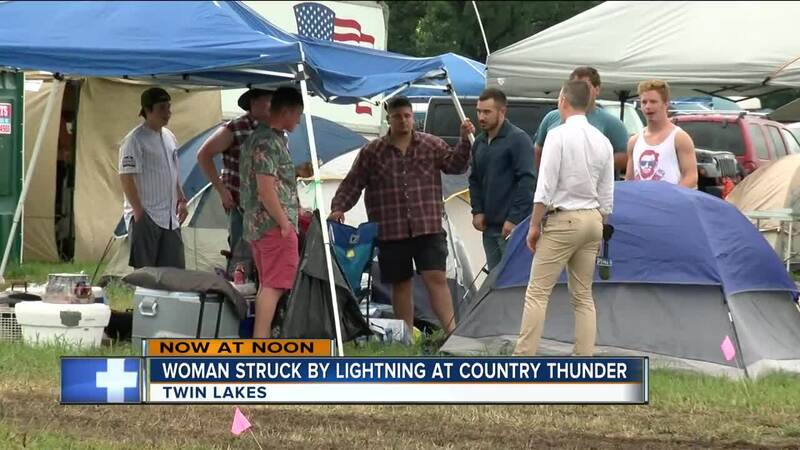 TWIN LAKES -- A woman has been hospitalized after she was struck by lighting at the Country Thunder Music Festival grounds , the Kenosha County Sheriff's Department says. The victim is a white woman about 20 years old, deputies say. She is described as having a small build with brown hair. She was wearing a dark t-shirt, dark jeans, and brown cowboy boots. The woman wasn't carrying any identification on her and deputies still don't know who she is. Deputies say no missing person reports have been filed that match her description. 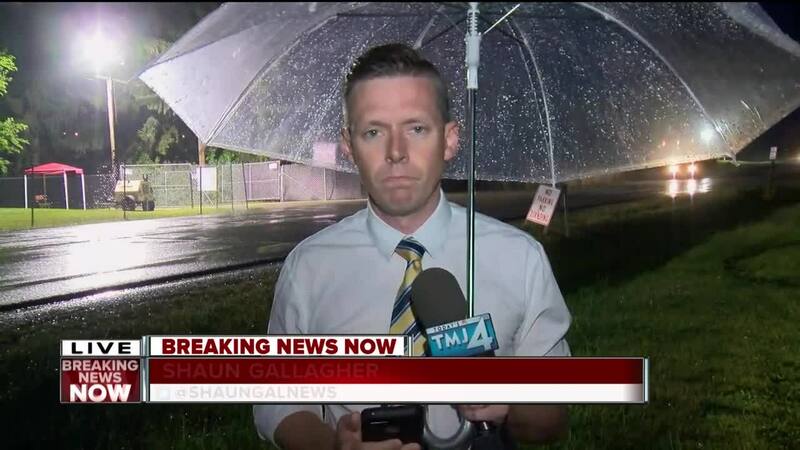 She was alone at the time of the incident. Deputies say the woman was taken to an Illinois hospital with serious injuries.